Getting creative with Seb Lindner | . Seb Lindner has never been one to follow the well-travelled path. After finishing high school in 2010, and heading straight to university the following year, it wasn’t long into his studies that he realised he needed a change of pace – prompting a decision that would later change his life. Becoming a part-time student, Seb took a business development job with a real estate agent for a year. The knowledge and inspiration he garnered from this position would later inspire his first successful business. Two years after shaking things up for himself, completing more study and testing the business waters through a successful but short venture in 2013, Seb was looking for a new idea – and was lucky enough to have one land in his lap that was perfectly tailored to his previous experience. A family friend’s daughter was heading overseas and leaving a small, fully furnished apartment in St Kilda empty for three months. With his real estate experience Seb understood the opportunity immediately and, with a little persuasion, was able to convince her parents to allow him to manage the property. This was the beginning of Short Stays (though that name didn’t come to fruition until later). At the time [early 2014] Airbnb was still growing in popularity in Melbourne, with only 224 properties listed compared to the over 6000 properties available now. However Seb was sure the Airbnb would only continue to grow, and he was right. With the help of Airbnb, the leasing and management of that small apartment in St Kilda proved so successful that it inspired Seb to acquire more properties, which he was only able to do with his deep understanding of leasing laws. By 2016 Seb’s Short Stays business was completely systemised through staff and automated processes (as it continues to be today). Seeking a new challenge but fresh out of ideas Seb found himself taking a journey to the Blue Mountains (via the recommendations of several friends) to experience Vipassana – a 10 days silent meditation experience intended to help the participant achieve peace of mind and clarity of thought. To get there Seb decided to drive up to Sydney solo. The 10-hour journey was a gruelling one but, according to Seb, totally worth it after achieving a “laser focus” through his Vipassana. And, in a turn of serendipity, it was while taking that same long drive home that Seb realised Australia had space for a well-managed ride-sharing business; one that offered solutions to the safety, financial security and reliability issues that other ride-sharing options had yet to address – and so Buckle Up was born. Launched in late 2017 the app aims to connect backpackers, festival-goers and like-minded travellers through an efficient medium to share trips together. The driver is able to specify the price of the trip and the passenger can talk to as many different drivers as they want to prior to confirming their ride. Most importantly there is a strict verification process involved, which, although slightly time consuming, ultimately ensures that the app is as safe as possible for its users. For now Seb is just excited to have successfully launched but, having completely self-funded the business, he hopes to secure important partnerships soon with the outlook of moving into the American market in time for festival season. We recently had a chat with Seb about the entrepreneurial mindset and his tips for budding businesses. 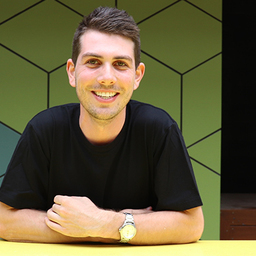 Seb Lindner completed an RMIT Bachelor of Business (Entrepreneurship).